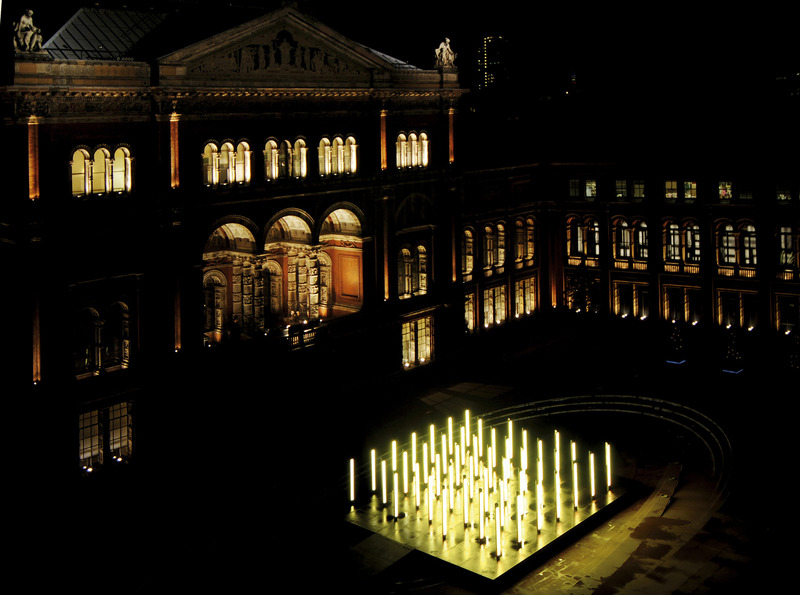 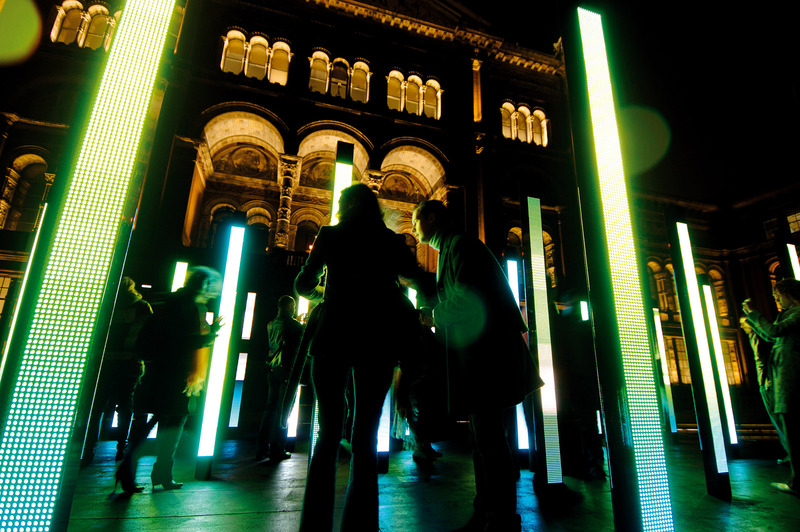 UVA’s large-scale installation Volume first appeared in the garden of London’s V&A museum in 2006 and has since traveled as far as Hong Kong, Taiwan, St. Petersburg and Melbourne. 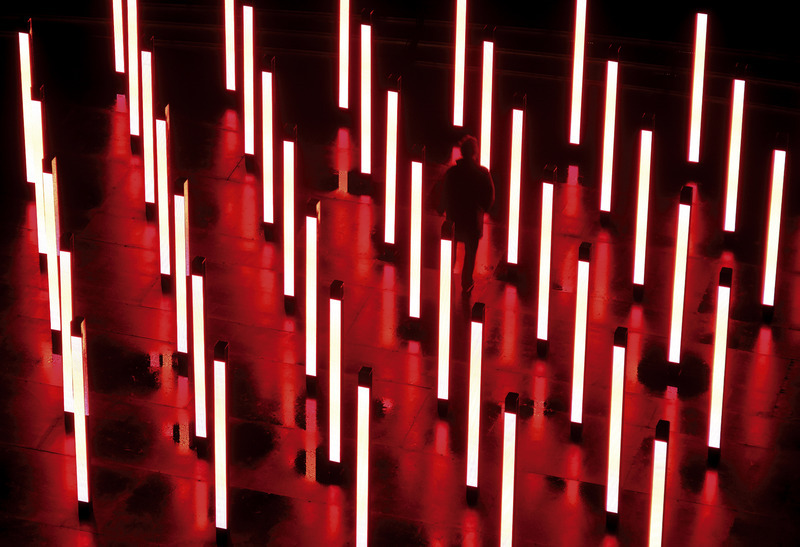 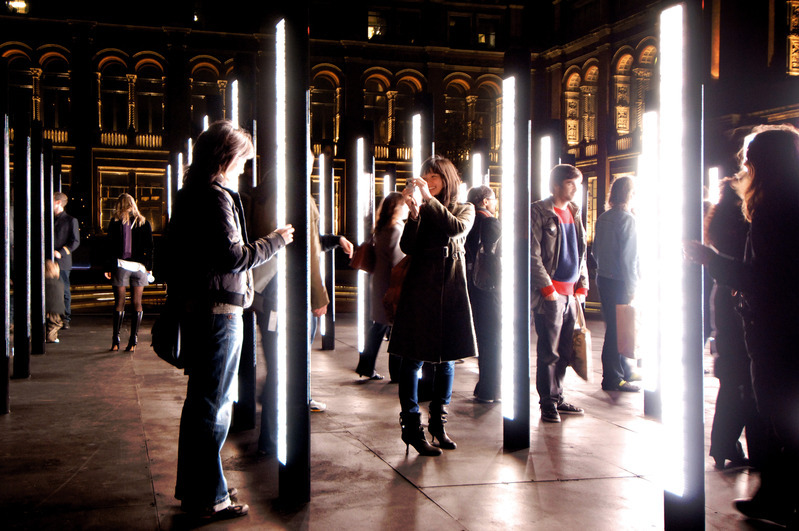 It consists of a field of 48 luminous, sound-emitting columns that respond to movement. 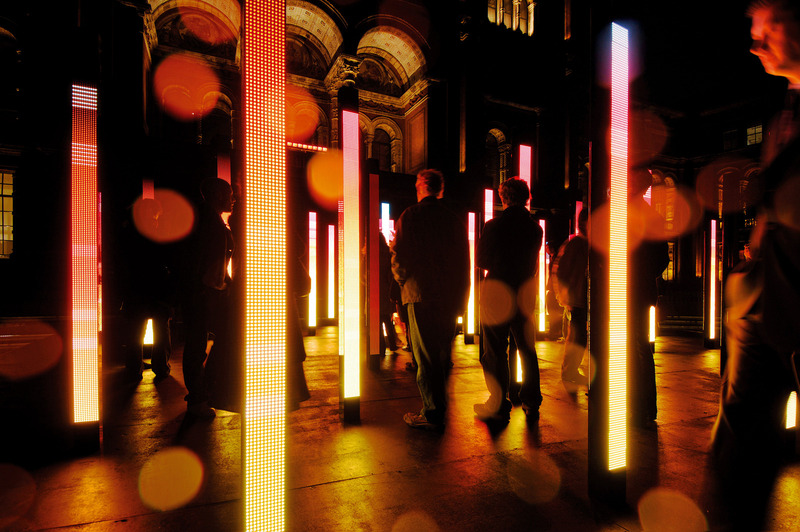 Visitors weave a path through the sculpture, creating their own unique journey in light and music.